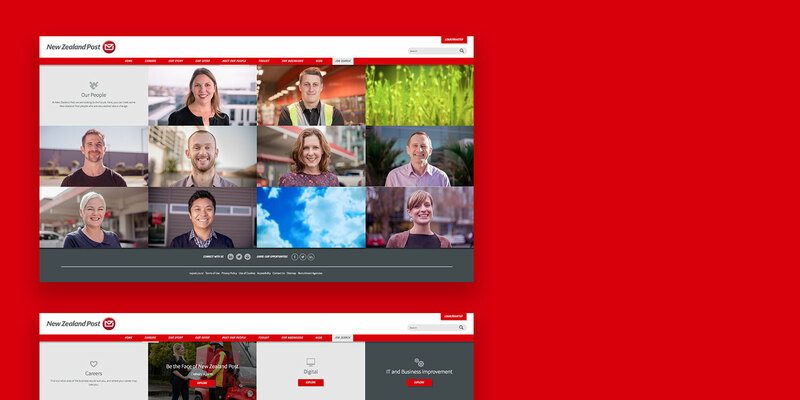 New Zealand Post is a business adapting to a changing landscape. A new home for talent attraction was needed. The website was built upon a strong strategic approach, with insights coming from in depth research and multiple workshops. 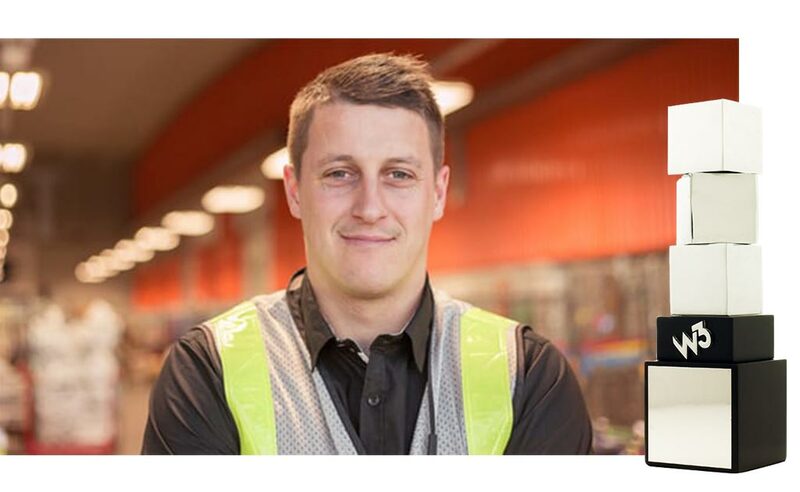 Video was created that shared real stories from New Zealand Post staff. These also showcased the breadth of the organisation, from its different businesses, as well as career paths. 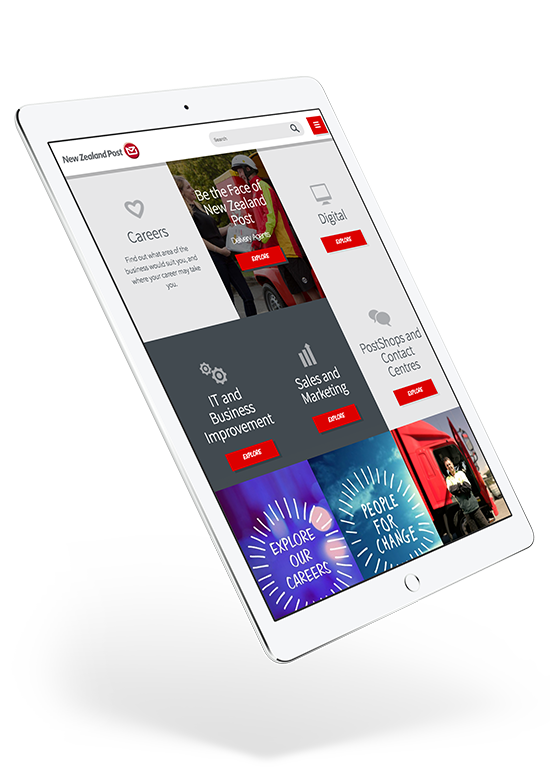 The website integrated their Applicant Tracking System, with a ‘latest jobs’ feed contained within the copy pages and relevant job links integrated into the ‘careers’ area of the site. 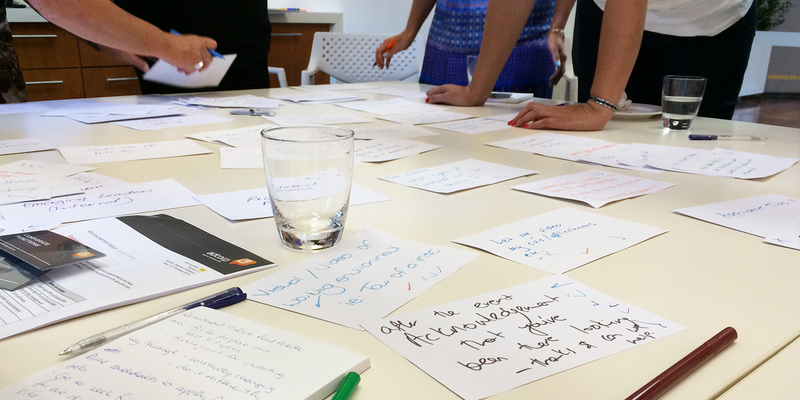 Insights were gathered from workshops. 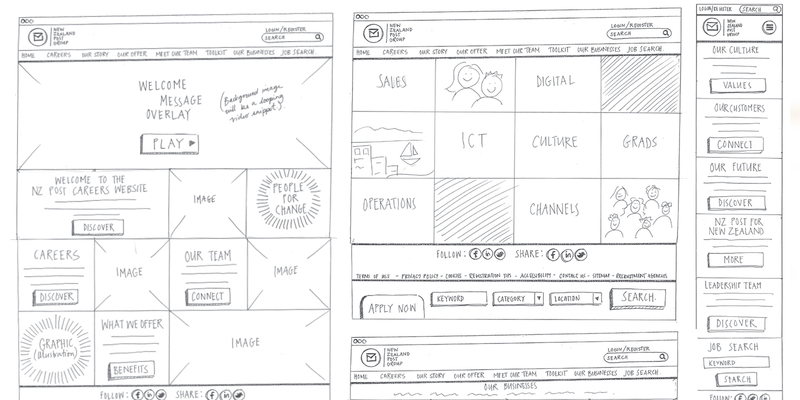 An iterative wireframing phase focused the design solution, ensuring we were delivering an optimised layout. Videos from across the business were created to tell people focused stories. The ATS was integrated to ensure a smooth candidate experience. 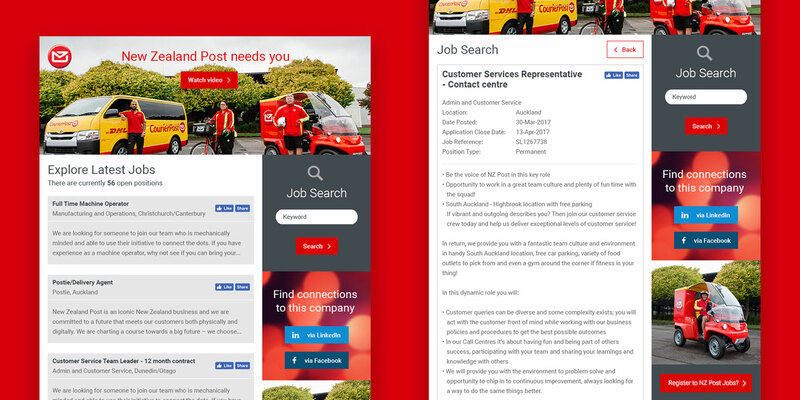 Video content was created to tell real stories of people within the business, and to showcase the range of roles and career paths available at New Zealand Post. The website has been a core component the New Zealand Posts talent attraction strategy. In 2014 it also won a W³ Award Silver Award.